Basically, I am obsessed with Blair Waldorf. From her style to her lifestyle she is my spirit animal. For those of you who haven't watched Gossip Girl (if thats you, you need to fix that asap) here are 4 reasons why you basically want to have Blair's life. 1. Her style. Blair's style is pure perfection. She always looks classy, sophisticated, and colorful. There hasn't been one thing that she has worn that I haven't been obsessed with. This is one of my favorite Blair outfits of all time! 2. She has Chuck Bass. Chuck freaking Bass. I cannot describe my love for Chuck Bass. Basically he is completely terrible but wonderful at the same time. That is what makes him perfect! Sure Blair and Chuck have rough patches but their relationship is something I can only hope to find. Ugh where is my Chuck Bass? 3. Rocking BFF. Blair is of course not complete without a perfect best friend like Serena. Again, they for sure have their rough patches but at the end of the day they are for sure the best best friend couple in the history of TV bffs. My best friend and I are essentially a real life Serena and Blair. Except we don't fight as much (which is a good thing). 4. Dorota. Every girl who watches Gossip Girl wants their own Dorota. She is not only a best friend but also a nanny/ maid.... So basically she is there whenever and wherever. 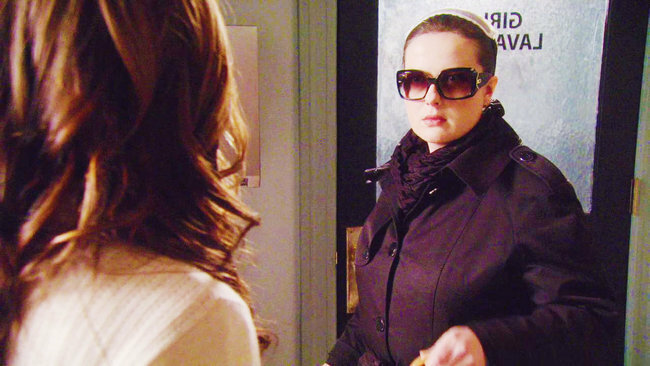 Also, Dorota is a fabulous spy. I would not be opposed for someone to do my snooping for me.